Fellow Biafrans and lovers of freedom, Umuchiukwu news analyzers are welcoming you all to this week news analysis edition. As we open the 9th curtain of our weekly news analysis, we urge all eminent Biafrans to help us circulate the good news of Biafra to the ends of the earth, the road to freedom is not a bed of roses, there must be hard times and such we are today We must stand firm with the leadership of Indigenous People Of Biafra until Biafra is restored. As rightly placed on our desk, this week remains the unmasking of the impostor in Aso Rock. During the week, there were revelations of how simple Buhari can be cloned, It was also revealed that the late President Muhammadu Buhari was initially doubled and was made to attend the Abuja Kaduna railway Commissioning program with his twin cloned Buhari named Mr. Jubril Al-Sudane Ignorant Nigerians are finding it difficult to understand the very trick played with their brains, but it is now open for them to see that making of Muhammadu Buhari is one of the simplest things on earth, the undeniable truth remains that the person occupying Aso Rock as president of Nigeria is an impostor from Sudan. The assassination of the Nigeria Diplomat, Habibu Almu is an evidence, his assassination was to cement the evidence of Jubril because he is the man that knew much about the recruitment of Jubril, he was directly involved in the recruitment and preparation of authentic documents for the transformation of Jubril Aminu Al-Sudani to Muhammadu Buhari, he was murdered by the cabal to cover up how Jubril was recruited On a second note, if the person in Aso Rock is Buhari, he should accept the presidential debate to clear every doubt, So many physical and psychological evidence have been flooding the internet and yet there's been no proper statement from the presidency. Fresh from the end of his 40-day fasting and praying period with his congregation, Bishop Abraham Chris Udeh has advised the Nigerian authorities and the United Nations (UN) to allow Biafran agitators to conduct a referendum and possibly go if they succeed Bishop Udeh stated reasons Biafra should be allowed to go amongst them noted that The Nigeria cabals control all our oil blocks while the owners of the same oil are suffering poverty in the midst of bountifulness He made more sense by stating that Biafrans are being manipulated while they play on their sensibilities He also noted that Buhari is a Fulani man and Atiku is another Fulani man planning to take over from him Who is fooling who? And before you know it the Fulani will rule Nigeria for another 12 years Bishop Udeh in a loud voice admitted that he does not have confidence in Nigeria’s elections again after Ekiti and Osun charade called elections And advised that it's better they stop spending taxpayers money in the name of conducting elections in a contraption like Nigeria. 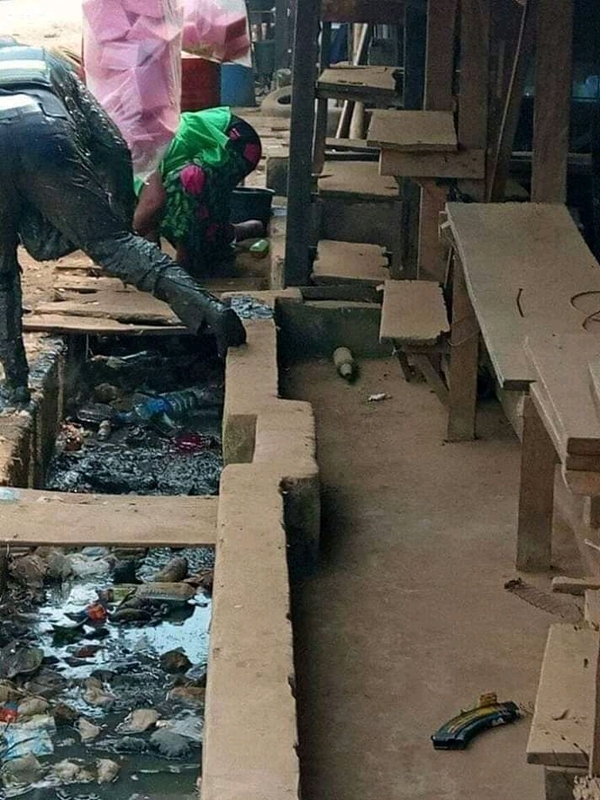 The message of Bishop Udeh is as crystal clear as the water in a crystal glass cup, The United Nations and other world humanitarian organizations must act in a civilized way by doing that which they're expected of them. Coming to those who wish Biafra never comes, they should also be made to know that Nigeria is not a home but a jungle. While the battle between the animals is on, preceding on the survival of the fittest, anyone can be a victim; oil wells and those notes collected in exchange of better future will never be a savior. Former President Goodluck Jonathan has declared that is more corruption under present presidency led by a Jubril from Sudan than under him as formally responding to the infamous claim that he tended to downplay raging corruption in his administration by boldly claiming that ‘stealing is not corruption’. Jonathan claimed that corruption was more prevalent under the President Muhammadu Buhari administration than under him and dismissed the current anti-corruption fight as mere media show Jonathan said Nigeria has not made any improvement on TI Corruption Perception Index since 2014. In fact, the 2017 CPI released in 2018 by TI places Nigeria as number 148, a retrogression in which the nation went 12 places backward. In other words, Nigeria is more corrupt in 2017. The current APC led administration of Muhammadu Buhari/Jubril Aminu Al-Sudan has been proven to be more in a mess than it was before his emergence Killing, disobedience to court orders, EFCC masquerading, use of DSS to intimidate innocent people etc are all considered more offensive than stealing, however, all are categories of corruption. Even in the present situation of Nigeria, where Boko Haram is terrorizing and killing innocent civilians of the country, the Nigerian Army has just revealed that it has uncovered a new terrorist group, Jama’atu Nus’ratul-Islami Wal-Muslimina, led by Abul-Fadl Iyad Gali believed to be operating in the North-East of the country Consequently, the Army has vowed to fight the group with advanced technologies and crush them However, Boko Haram terrorist group has been combating the Nigerian army killing hundreds daily the group was said to be a fraction of the already existing Boko Haram this automatically means that the lives of people residing in Nigeria are tremendously in danger because the only military apparatus owned by Nigeria is set for Biafrans alone, Deployment of soldiers to Biafra land happen on a daily basis while the north is under siege by the terrorists I pity Nigerians. She tweeted: “The intelligence of some Nigerians has been insulted by the outrageous lies that @Mbuhari has a double, having died in the UK This evil is being sponsored by one of PDP’s Looters, the drug infested, crack head, @realffk. He is calling Nigerians gullible, Nigerians are not! To dissect, this claim by Buhari most hypocritical and corrupt elements handling Nigeria presidency, Nnamdi Kanu and IPOB has never followed any evil Nigeria politician advice to addict anybody, because IPOB is totally apolitical, has absolutely nothing to do with politicians because we know Nigeria politicians are totally evil and do everything for their selfish interest Lauretta Onochie's claim is just a propaganda that has no truth in it, because the world knows that the man in Aso Rock is not the real Buhari but Jubril from Sudan, during Nnamdi Kanu's broadcast a few weeks ago, he has been giving facts and figure why Nigeria president is an impostor, but those handling the Jubril a cloned Buhari has never countered this widespread claim with facts rather they are making unnecessary propaganda to divert the attention of Nigerians, this shows that Nnamdi Kanu is right on his claim about Jubril parading as Buhari in Aso Rock. As Nigeria media and other media combined with the Lying Nigeria police continued to twist every news about Biafrans in order to tarnish Biafrans/IPOB image before the international community with their brown envelop news reportage all in the name to label IPOB a Terrorist Organization, but our people have to take the risk to rebuke every of their move with clear evidence of what really transpired during IPOB Evangelism on 23rd November in Biafra land. 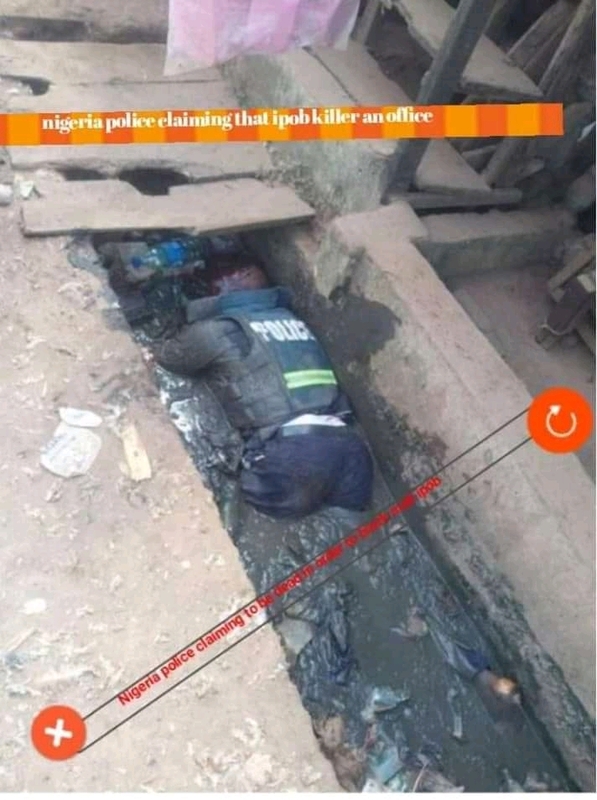 According to Nigeria fake news giant the Punch, they broke out news on 23 November 2018, alleging IPOB killing Police officer during IPOB evangelism their statement reads "During IPOB’s protest in Nnewi On 23 November 2019, Anambra State, the Police command said a policeman died in the protest while a Divisional Police Officer in the area was hospitalized following injuries sustained in the clash Speaking with our correspondent on the telephone, a Deputy Commissioner of Police in charge of operations, Mike Okoli said, ” I will confirm to you that we lost a policeman in the clash; an inspector. The DPO who went with him to that operation is hospitalized I can’t tell you of any other casualties; this is the much I know Meanwhile one of Umuchiukwu Writers correspondent was there live to do an investigative journalism in order to come up with an accurate update of what happened during the event, According to our Journalist in Nnewi Mazi Ebube Edochiem he was quoted saying "The Nigeria government is well known by their rockery moves to quench the Biafra Strategy, they are doing everything humanly possible to label IPOB terrorists Based on yesterday (Friday 23, November 2019) Issues concerning IPOB and the team of Nigeria terrorists policemen at Nkwo Nnewi in Nnewi province of Biafra land, When the Indigenous people of Biafra who are thousands in Numbers was Protesting and Sharing Of No Election placards in Biafra land for total election boycott comes 2019 in Nigeria, they were intercepted by Nigeria criminal policemen who were patrolling along the axis, In a bid to Stop IPOB, one of them opened fire on the peaceful protesters Injuring many people with canisters of tear gas and live bullets. After all this, they didn't resist to leave IPOB alone, as they planned to label us a terrorist organization before the eyes of the world, like our leader Mazi Nnamdi Kanu usually say be faster than your enemies or else they will tarnish your reputation, so we have to act fast to notify the world on what really transpired yesterday during IPOB peaceful evangelism, even the media giant BBC Igbo confirmed we are peaceful during this evangelism. Meanwhile Nigeria Police instructed one of their policemen to laid inside gutter and pretend been killed by our people, the man lay down there till Nigeria Army arrived and they chased everyone on sight to avoid noticing their pranks, unfortunately, our fearless people who remain intact gather some pictures to clear off this stage-managed act of Nigeria Police You can see closely in the pictures how the man was sleeping inside the gutter comfortable and how he comes out immediately Nigeria army arrived, Nigeria is doomed Our People take the risk and get a picture evidence in order to thrash Nigeria Police claim of IPOB member killing one of them. The world already knows IPOB is a nonviolence organization they have not killed anyone before and wouldn't kill anyone. The pictures below show evidence that all these actions by Nigeria Police are just a stage manage act to nail IPOB. According to the affidavit in support of the motion filed by their lawyer, Chukwuma Nwachukwu Ume (SAN), the applicants claimed innocence of the allegations against them Senator Eyinnaya Abaribe and Chief Femi Fani-Kayode have approached a Federal High Court in Abuja, asking it to join them in the suit filed by a lawyer named Isaiah Agidi Ayugu seeking their prosecution for the role they allegedly played in the escape of the leader of the proscribed Indigenous People of Biafra (IPOB) Nnamdi Kanu, from the country the simple question is, how possible is it for someone to leave a country without the knowledge of the immigration department? When did Enyinnaya Abaribe and Femi Kayode become immigration officers? The truth is that these two people are none supporters of evil unlike Adesina, Abba kyari and the rest of the cabals this lawyer that filed the suit is equally jobless, he needs fame and attention if not, he wouldn't be so busy suing Abaribe and Kayode while the big fight is there in Aso Rock. It takes courage, tranquility, resilience, Consistency, and determination to be brave the brave men, IPOB volunteers on Friday 23rd November 2018 took to the streets of Biafra land on a peaceful rally as usually carried out, the walls of Jericho (The Nigerian animalistic military armed men in disguise were defiled and conquered). 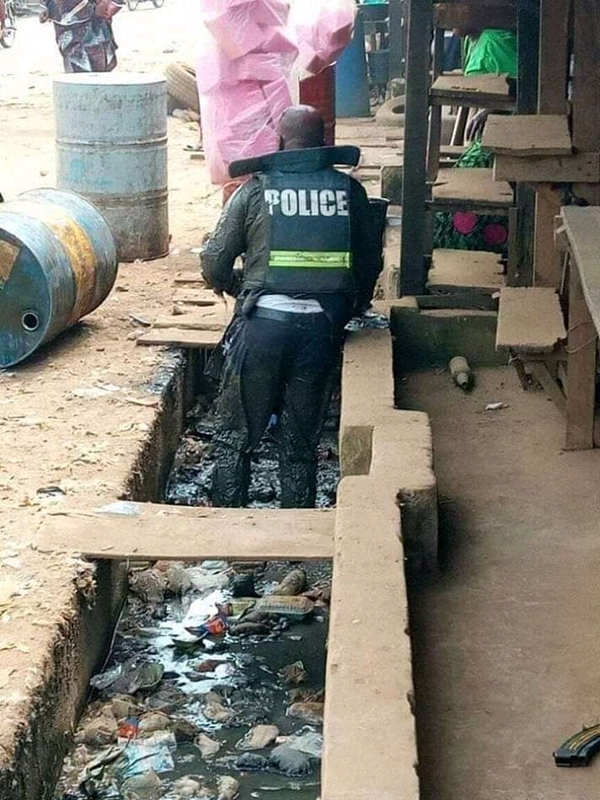 In Aba, the protest took off from Asa Road and went round through Ngwa Road Major markets and business areas were visited and the peaceful brave men were on a uniformed attire that differentiated them from other people the protest ended at the popular Ahia Ohuru (New Market). The Nigerian army arrived too late and couldn't catch any bite they arrived at the venue where the protest stopped but the protesters were already gone It was a total victory for IPOB volunteers in Aba. Same time it was happening in Aba, Ebonyi was also on the motion the IPOB volunteers Marched in the city of Abakiliki and were as always peaceful Displayed the Biafran flag, no election banners, referendum play cards and with songs of victory Again, the Nigeria animalistic military men posed to attack them but failed woefully It was also a successful rally for IPOB volunteers, Ebonyi state. IPOB volunteers Enugwu were also on the streets of Enugwu the rally hits major streets, markets and commercial areas of Enugwu Protesters were dully peaceful and Marched with braveness amidst the heavy military patrols. Anambra IPOB volunteers equally joined in the rally Nnewi was very hot as Lion squad IPOB volunteers hit the streets the living, the dead were all scrutinized, hopefully, the message was passed and peacefully they Marched However, the Nigerian military men attacked the peaceful protesters, shot live bullets and tear gassed the whole atmosphere for no good reason In the cause, many of the volunteers were injured. 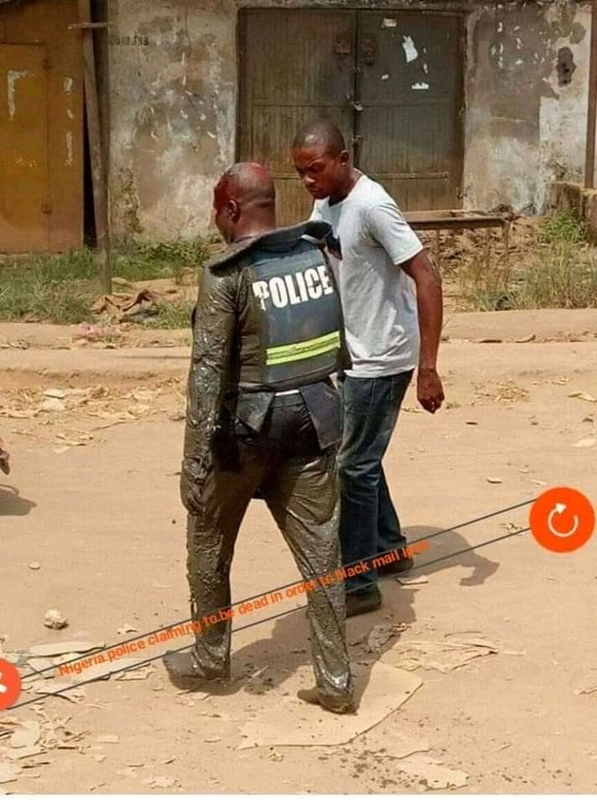 Peacefully, they disengaged themselves and left the scene Surprisingly after some hours, the Nigerian gutter media unleashed their lying tools Reporting that IPOB members killed some police officers with a photo of a policeman lying inside a dirty gutter in Nkwo Nnewi Funny enough, the policeman was also seen walking out from the gutter on his own, that is the extent Nigerian media could go to blackmail the peaceful nature of IPOB the quest and aim of the protest are to convey the message and gospel of Biafra There will be no election in Biafra land if a referendum is not conducted the message has been conveyed, the world is taking note and the resoluteness of IPOB will be remarkable as long as the world lasts. Meanwhile, we are ending this edition of the analysis here We explore you all to engage us next week on the same platform as we continuously expose the evils of the Nigeria government. 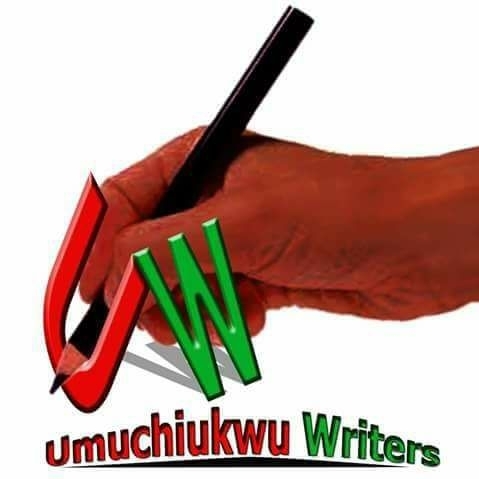 From the stables of Umuchiukwu Writers, a happy new week.